Neither a smiley nor any emotion, it’s a poem. It was written by Christian Morgenstern and its original title was Fisches Nachtgesang (Fish’s Night Song). 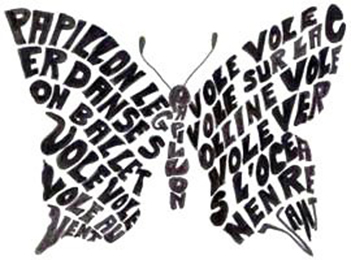 Actually, it’s a calligram and we’ll come back to this example that says so little and speaks so much. 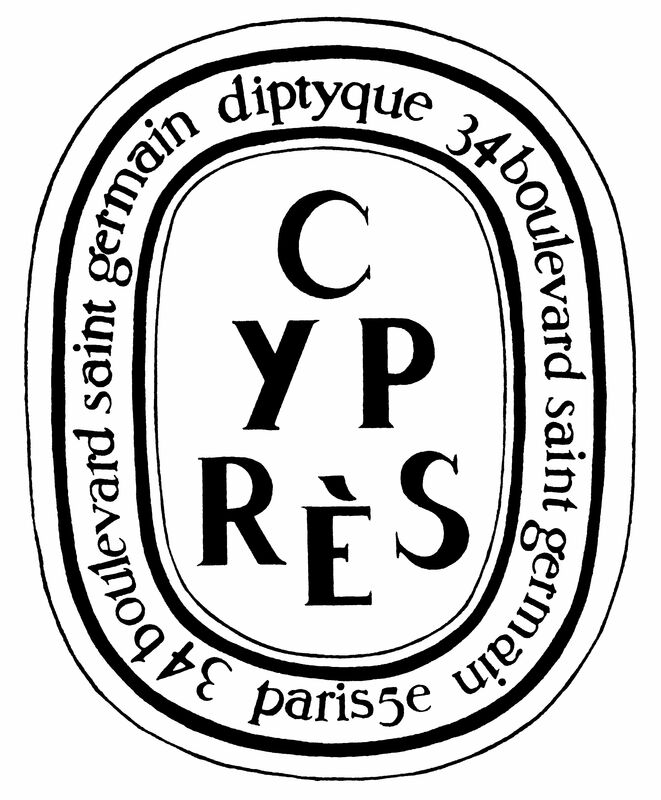 The label of the diptyque candle “cyprès” (cypress) is also a calligram – a few letters arranged in a conical shape to remind us of a cypress tree. It pays homage to Desmond Knox-Leet’s passion for calligraphy, cryptography, all kinds of written signs, languages and pictorial art. He’d worked as a translator and probably also as a cryptographer during World War II before becoming a painter. 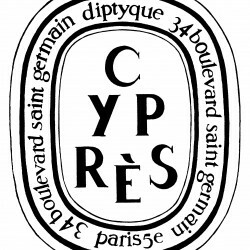 He created all the diptyque labels until he died in 1993. 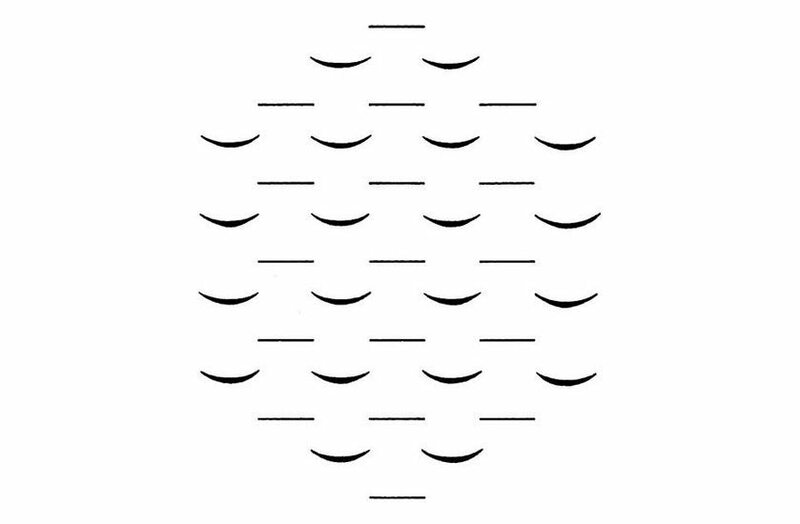 The calligram is a poem where the verses or the letters are drawn into a pattern which usually illustrates the theme of the poem. 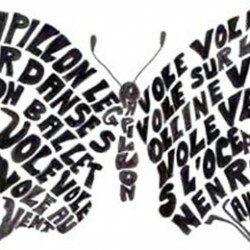 The word itself was invented by French poet Guillaume Apollinaire (1880 – 1918). 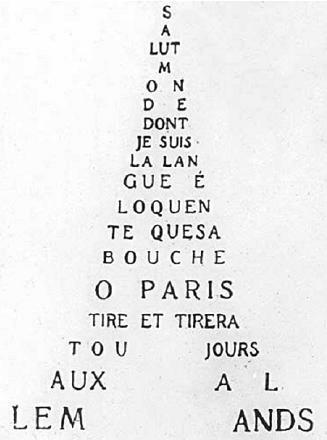 Some of his calligrams became very well known – first his Eiffel Tower where words reveal a certain defiance from that time, or his aching passion for Lou not forgetting his bestiary. Although he invented the word, he didn’t create this form of art. The oldest known calligram is from a Greek poet, Simmias of Rhodes (first century b.c. 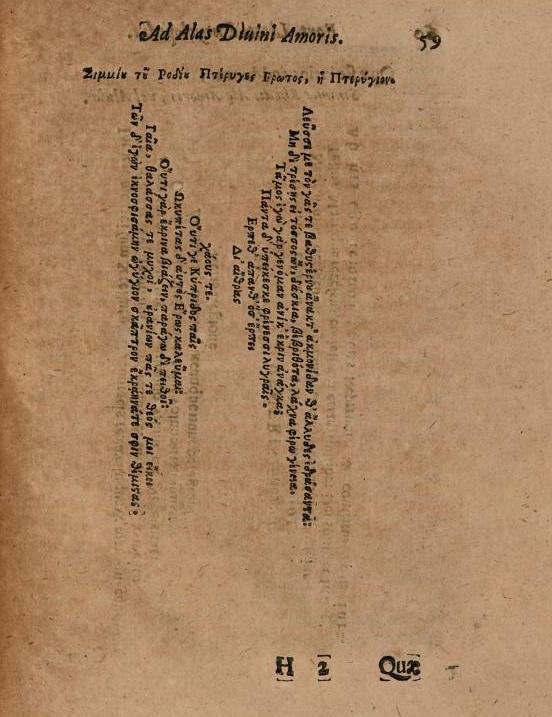 ), named Pteryges. 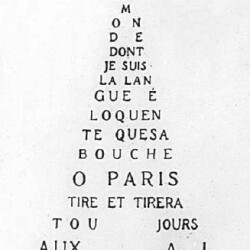 When modern art appears, the calligram becomes a poetical act in itself rather than in illustration mode. 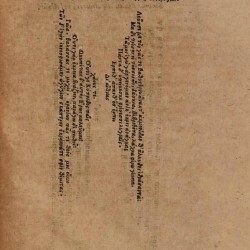 Apollinaire was searching for “a synthesis of all art, music, painting and literature” therefore Christian Morgenstern’s Fisches Nachtgesang, the cover, should be regarded as a concrete poem in abstract shapes. The same dynamically affects music, electroacoustic music and its hybrids, which we referred to when posting an article about Karlheinz Stockhausen whom the diptyque founders were so fond of that they never missed any of his concerts in Pairs. So, as text with image, it all connects.